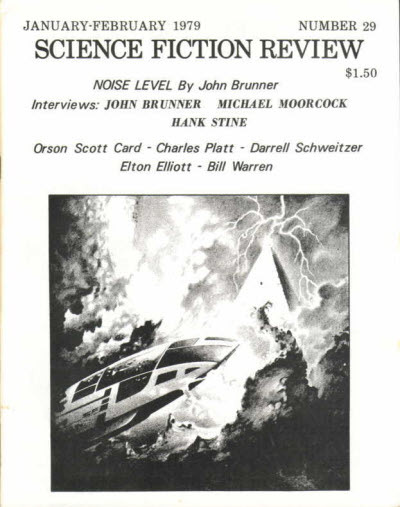 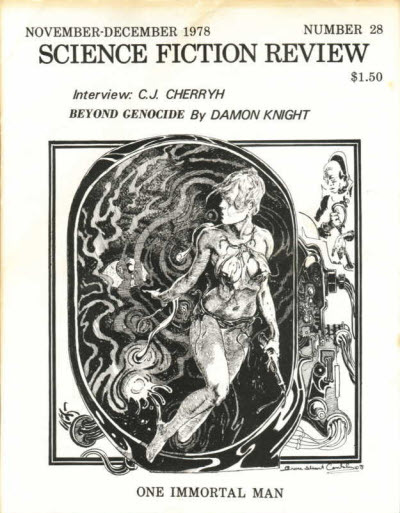 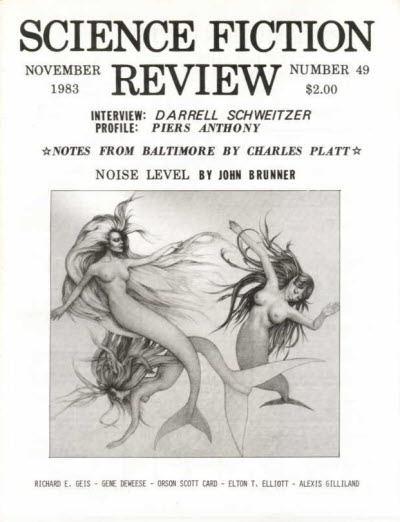 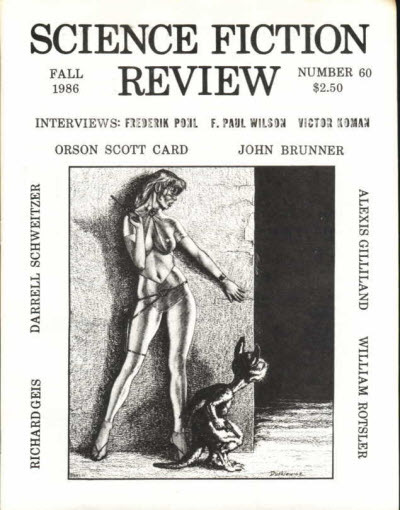 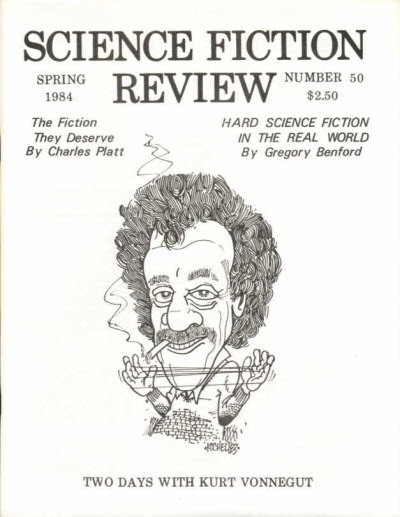 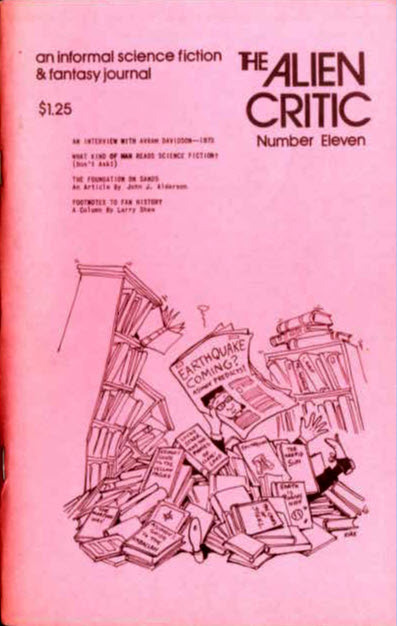 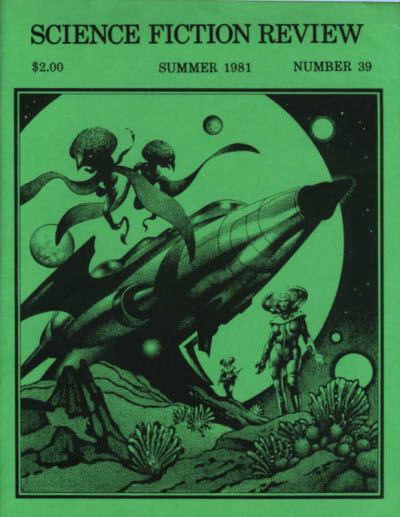 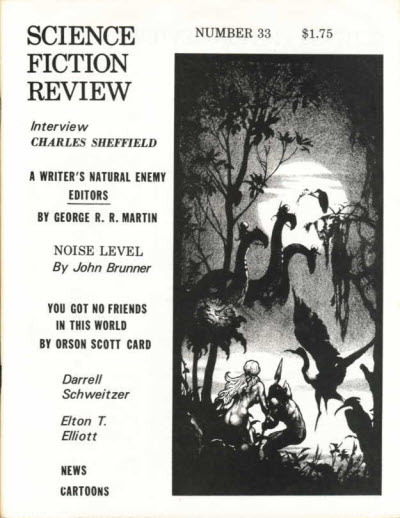 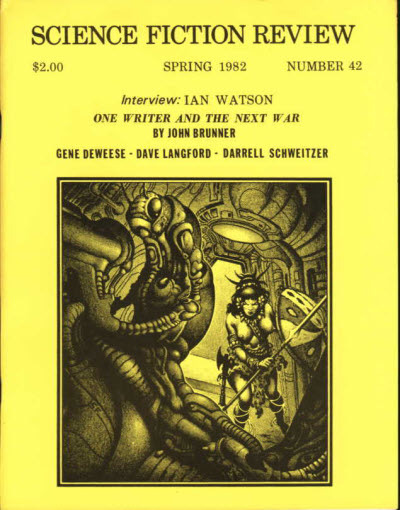 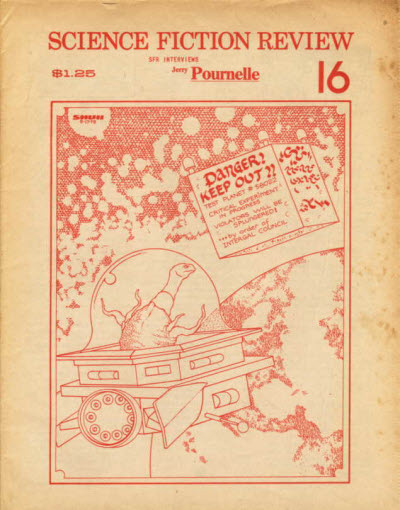 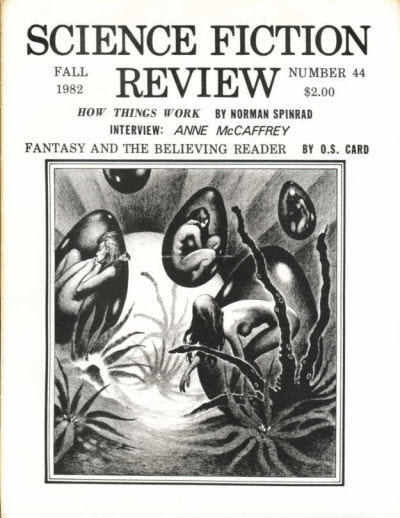 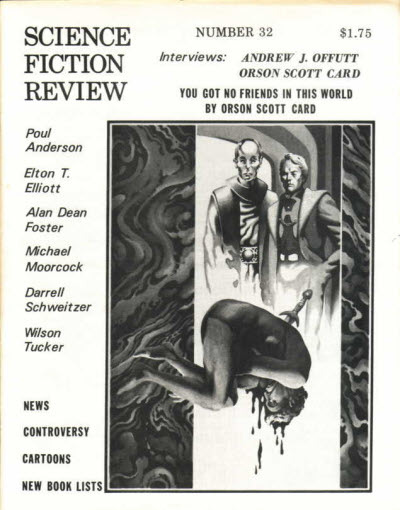 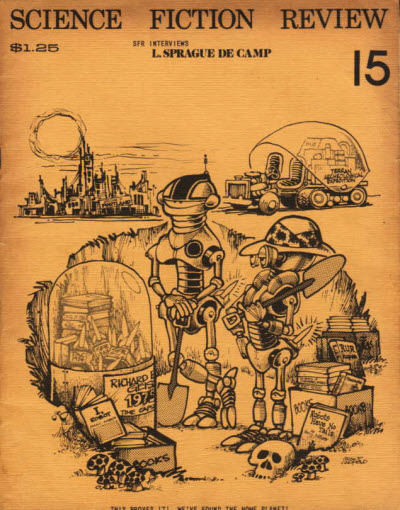 Fanzine which started in July 1953 under the name Psychotic as which it ran for 19 issues followed by 1 (some sources say 3) under the title Science Fiction Review before folding in 1955. 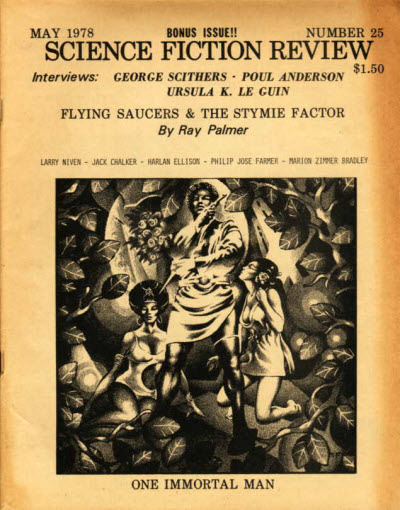 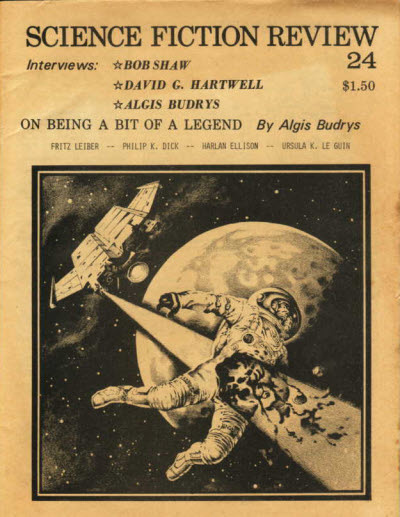 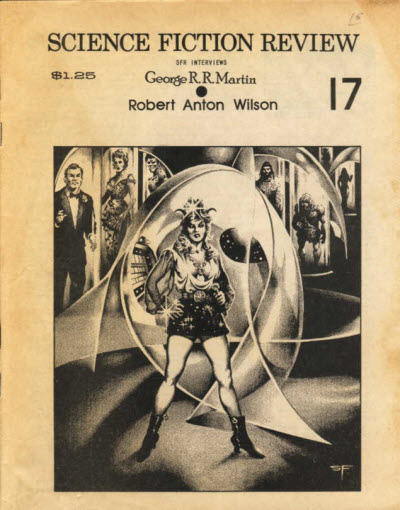 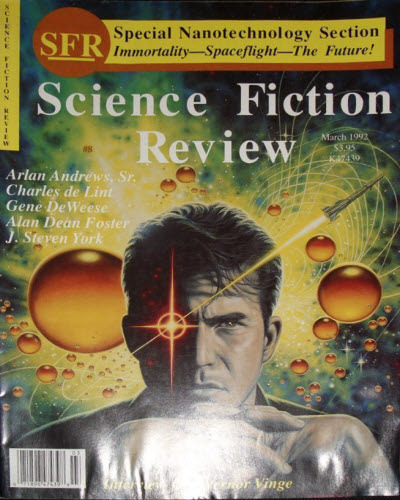 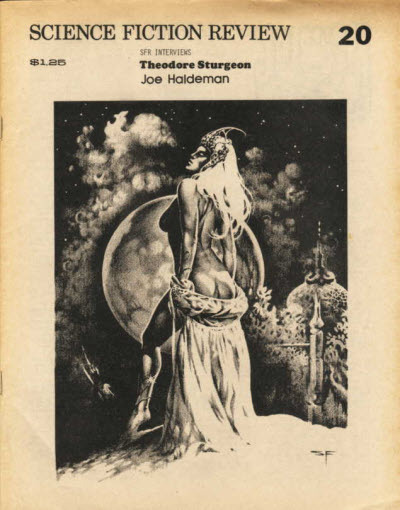 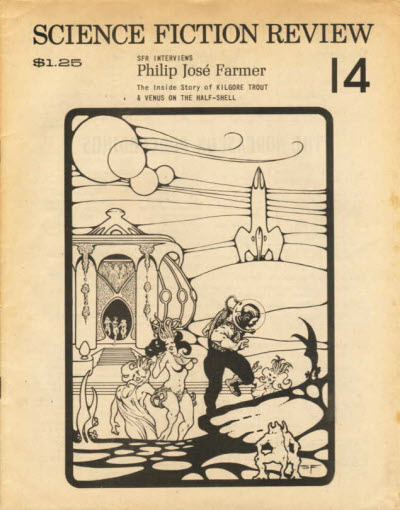 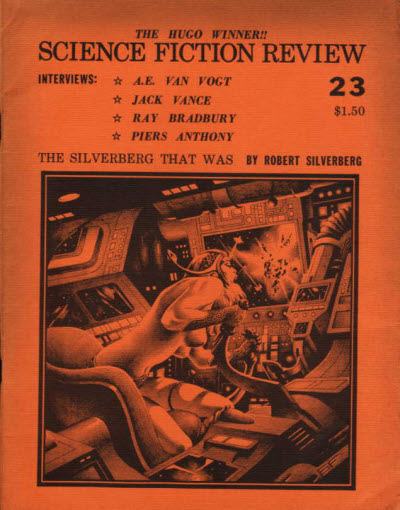 It was relaunched in 1967 as Psychotic #21, as which it ran for 7 issues before changing its name (again) to Science Fiction Review in November 1968. 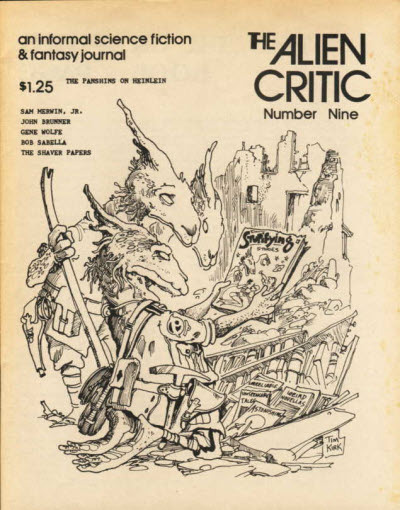 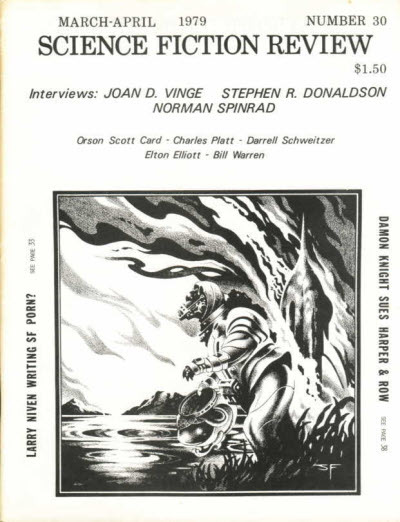 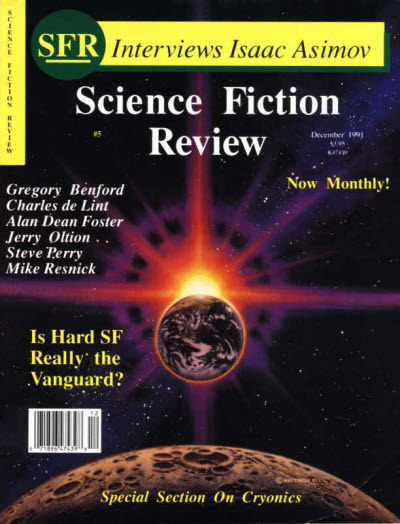 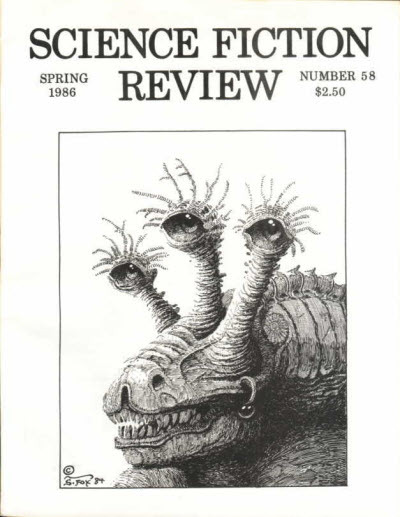 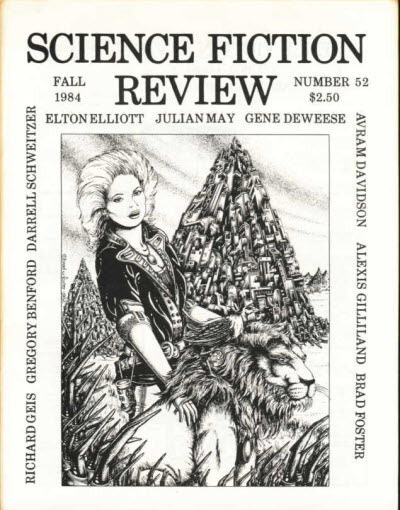 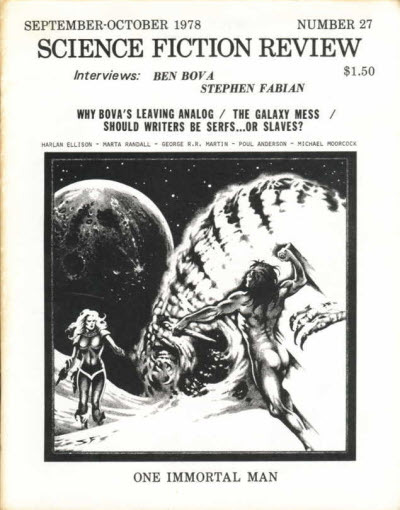 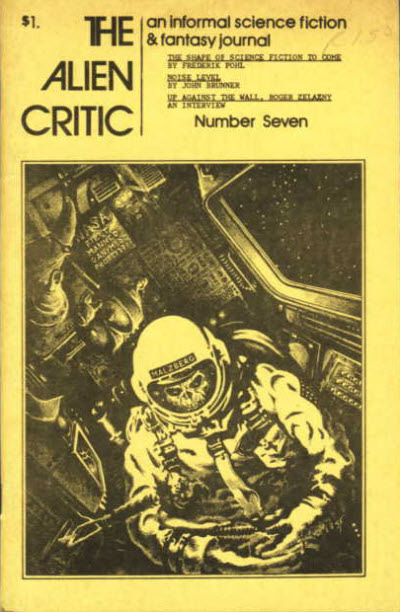 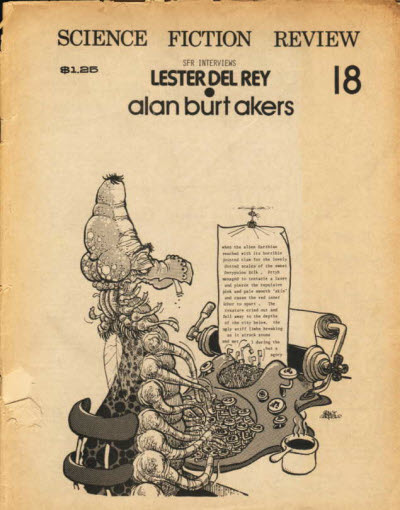 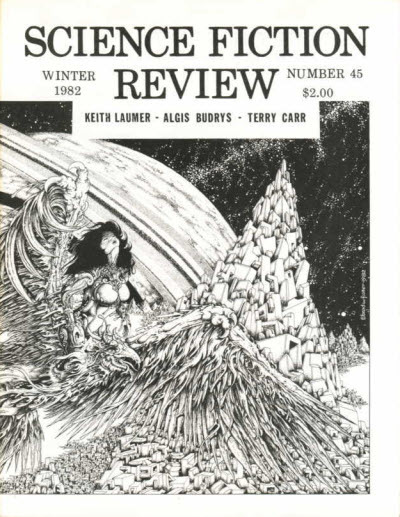 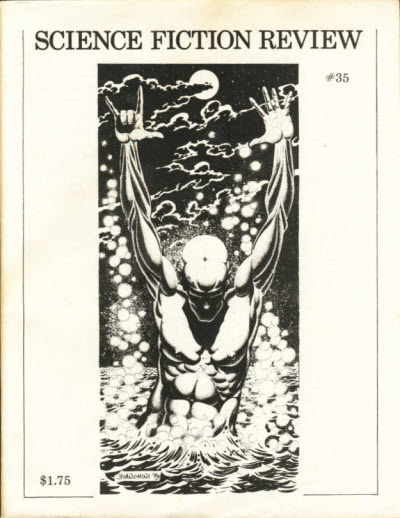 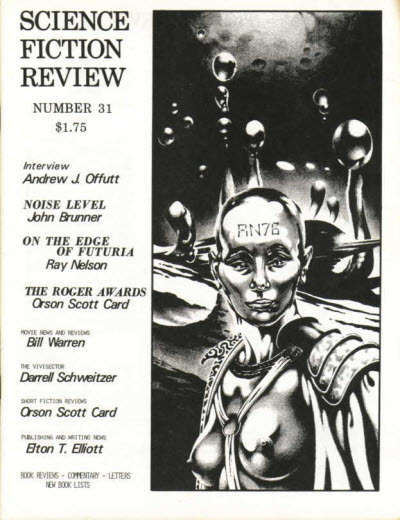 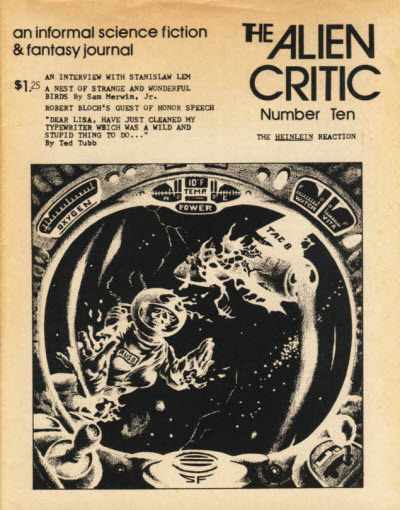 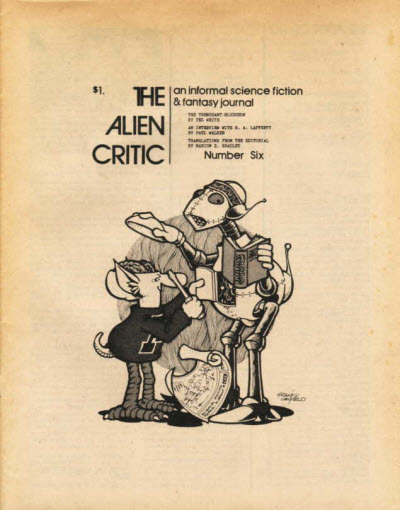 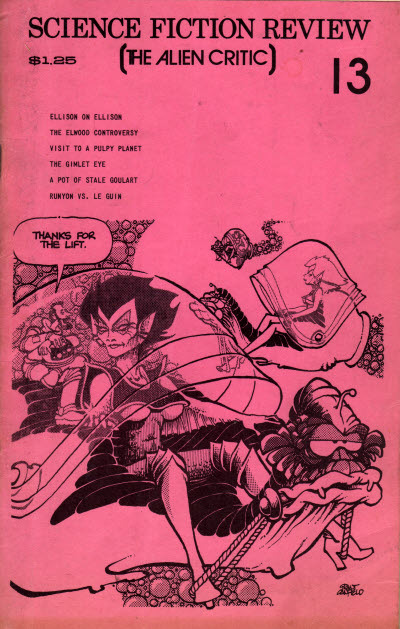 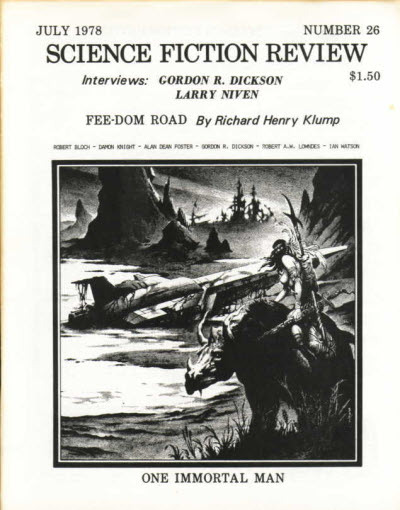 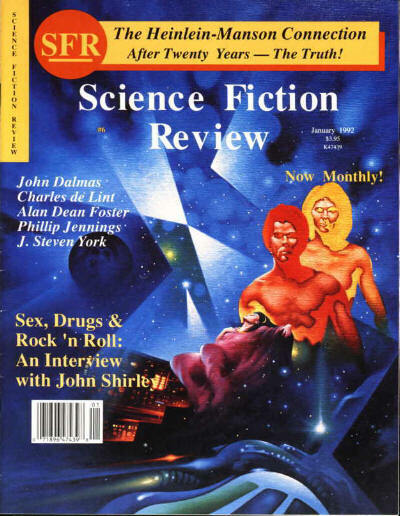 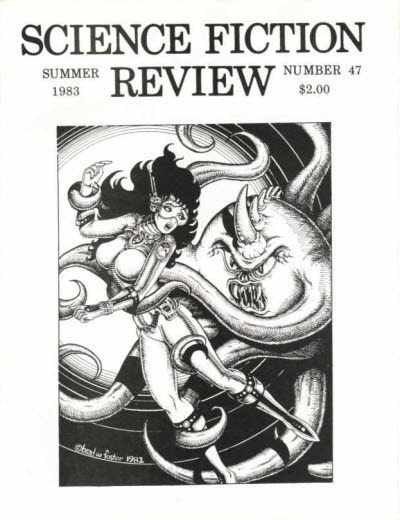 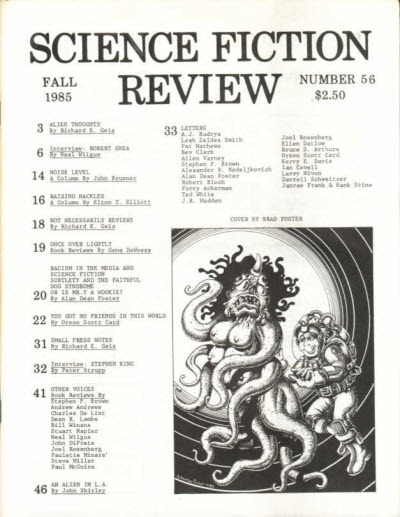 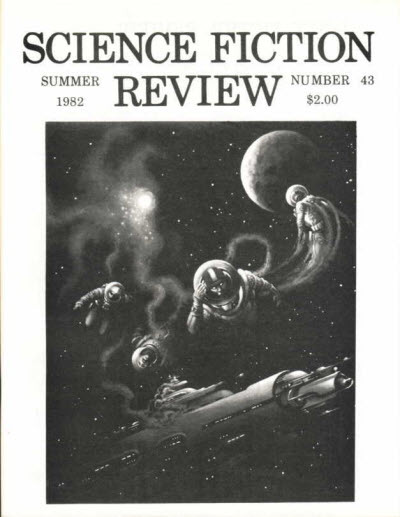 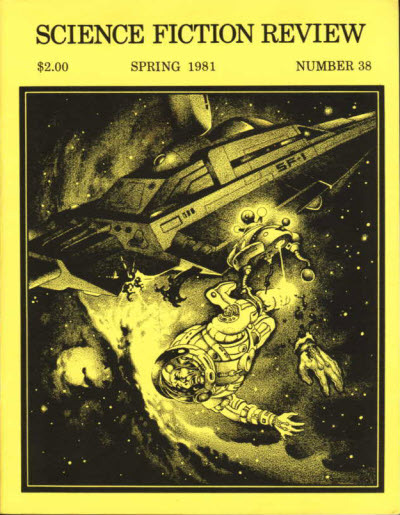 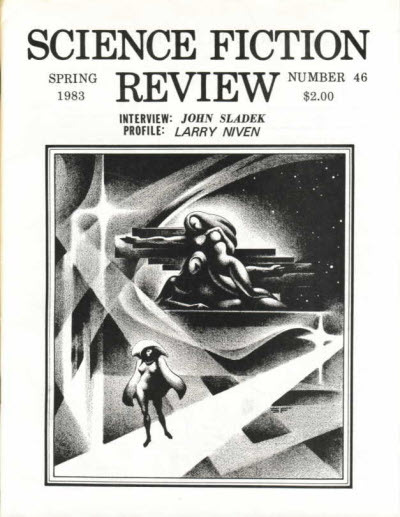 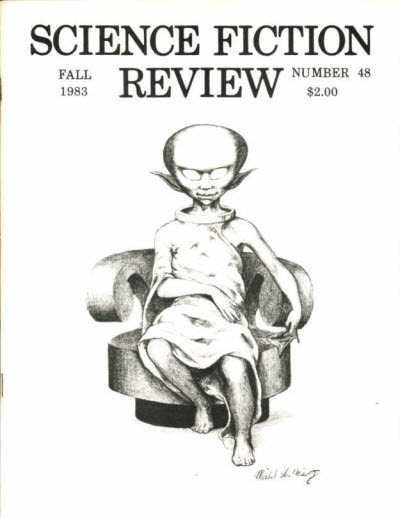 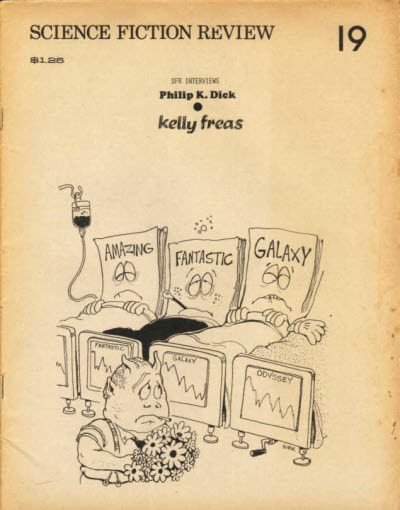 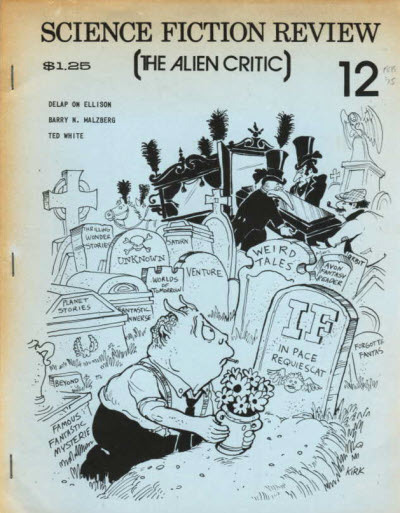 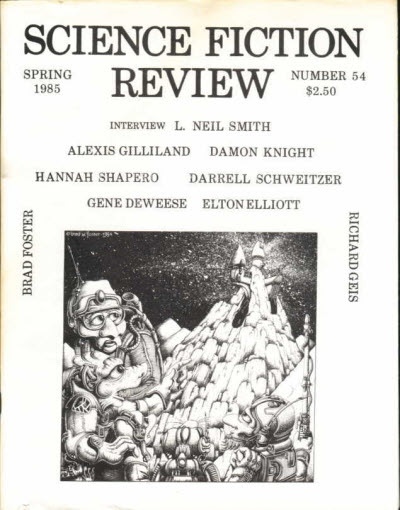 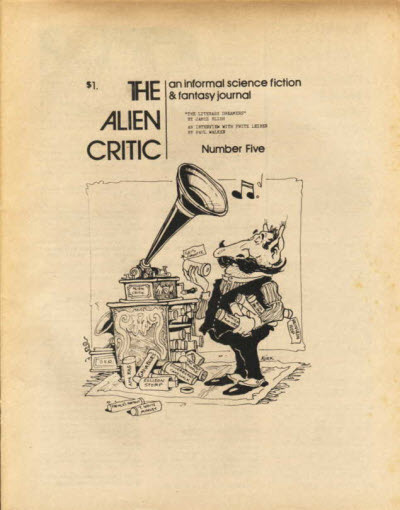 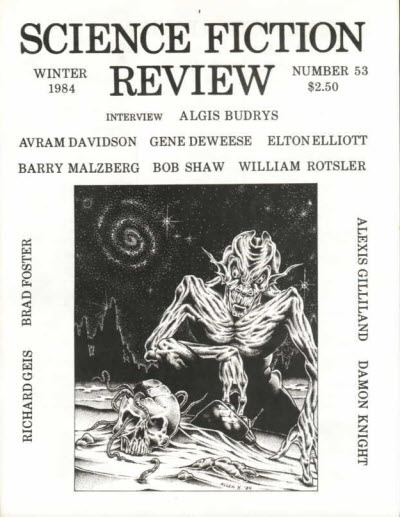 After 16 issues it was relaunched in 1972 as Richard E. Geis, which, after 3 issues, changed its name to The Alien Critic as which it ran for 8 issues before changing its name back to Science Fiction Review again and running for a further 50 issues before folding in 1986. 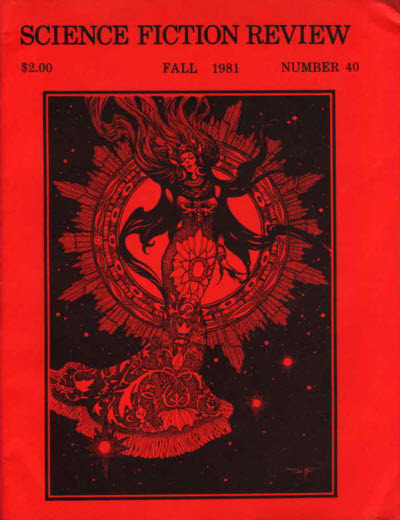 It was relaunched by a different editor in 1990 but only lasted for 10 issues before folding for good in May 1992. 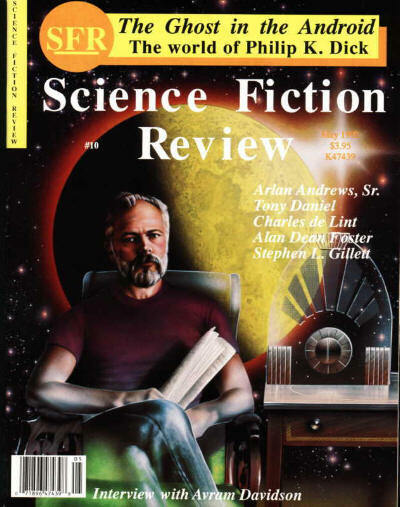 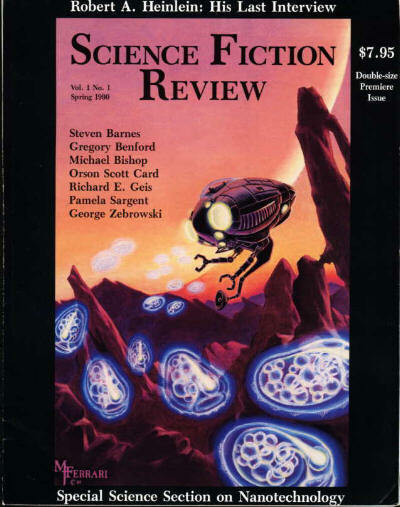 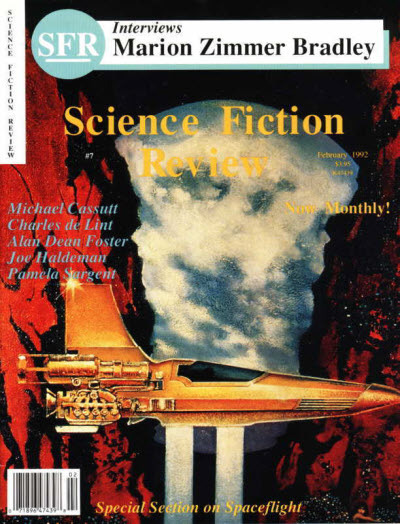 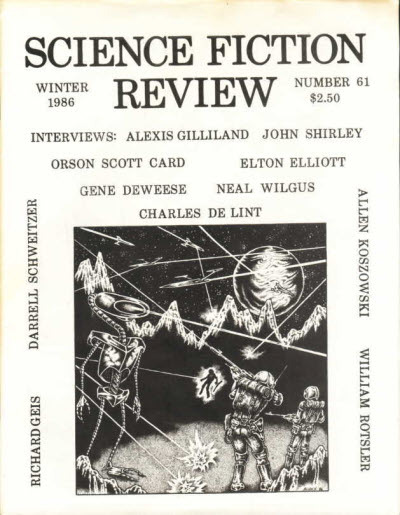 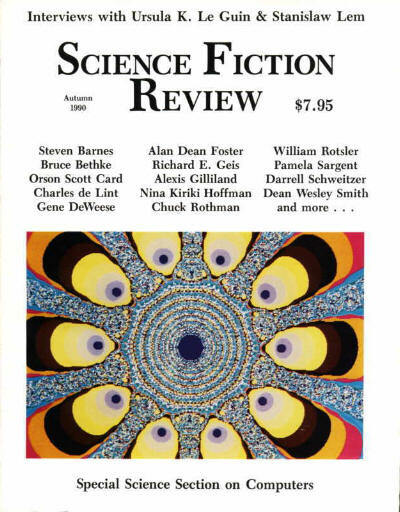 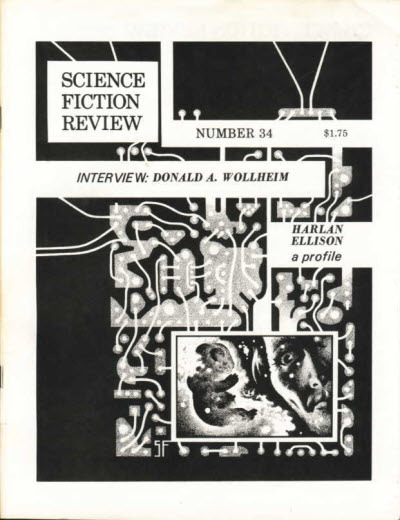 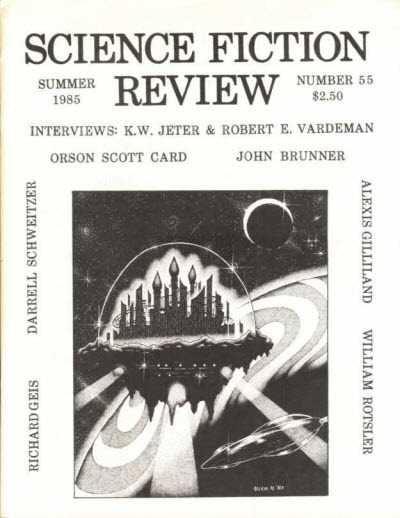 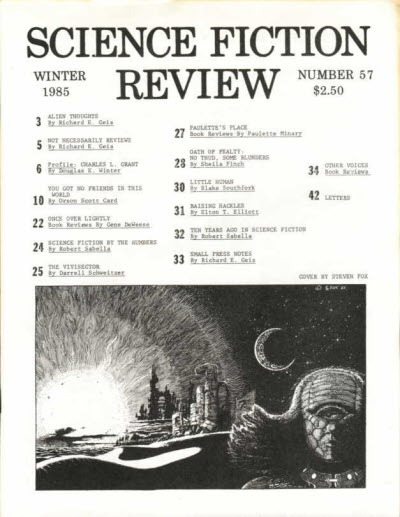 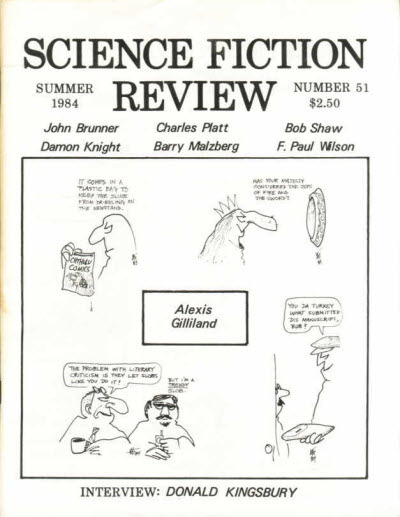 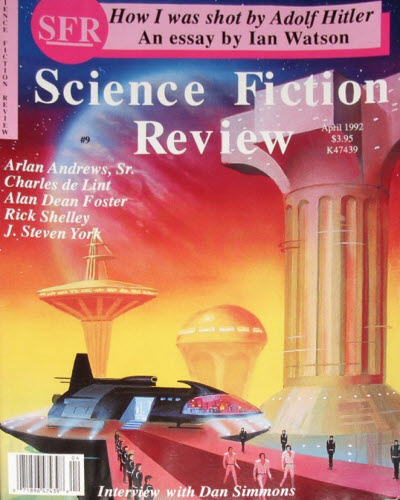 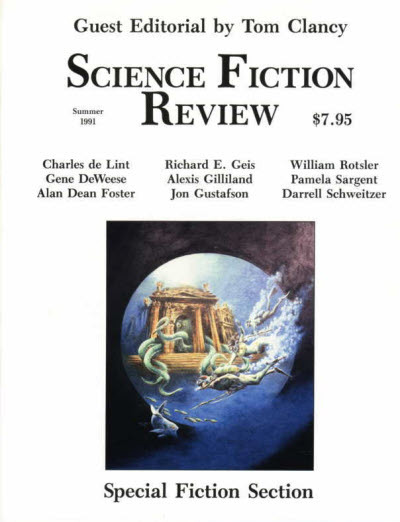 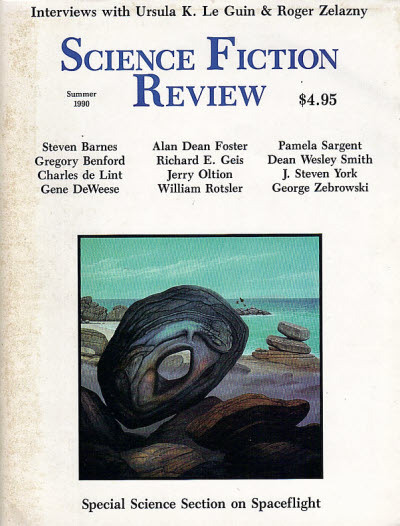 The table below starts with the first (proper) incarnation of Science Fiction Review in 1968.